As I read the newspaper this morning, I was struck by the juxtaposition of two particular articles. Fritz Henderson, president and chief executive officer of General Motors, remarked in the first one about what it's like for GM now since they went into bankruptcy 5 months ago; a bankruptcy that was once thought unthinkable. The new GM is no longer focused on simply surviving. Instead, their focus is on changing a corporate culture, building better cars and winning over new customers. In the other article, Mayor Dave Bing was quoted as saying that avoiding bankruptcy and rebuilding Detroit will take as long as 20 years. It will also require a tremendous sacrifice on the part of all residents and we'll likely have to give up some of the services that we're paying for without seeing a corresponding decrease in our taxes. We Detroiters have been served with several years of budget cuts and sacrifices by three different mayors; each time we've been told that doing so was essential for us to avoid bankruptcy. After all of this time, the only thing that we have to look forward to is the prospect of another couple decades of even more cuts and more sacrifices. In contrast, General Motors has been almost completely reborn and re-energized within 5 months of filing for bankruptcy. 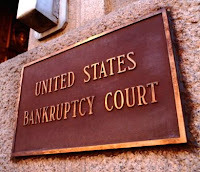 They were quite reluctant to file for bankruptcy protection but, in hindsight, it may well prove to be one of the best things that have happened to them in years. All of this begs the question: Why is it such a high priority for the City of Detroit to avoid bankruptcy?